Are you complaining of overheat and battery drain when using psiphon or throttled speed on Etisalat social chat, then this is for you. 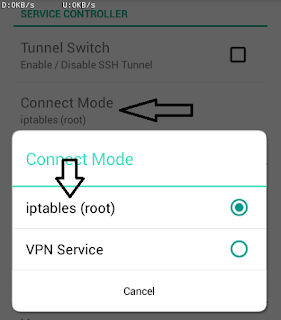 This optimized VPN called HTTP Injector apk gives you access to premium servers for free unlike Tweakware and can as well be configured to use with other vpn. Below are the settings for HTTP Injector for MTN BIS, musicplus data, 2go MB as well as Etisalat Social Pack. 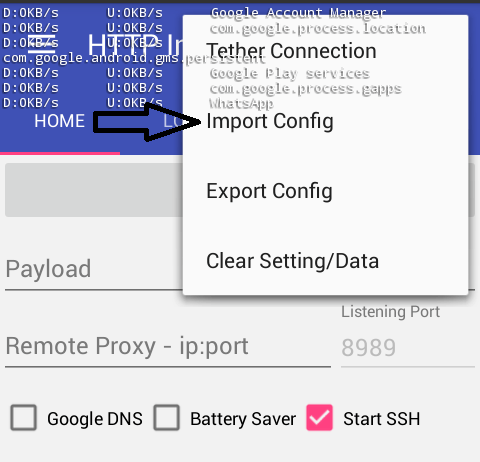 Settings for HTTP Injector Account. The HTTP Injector removes speed limits on Etisalat and it is super fast without draining your device battery. 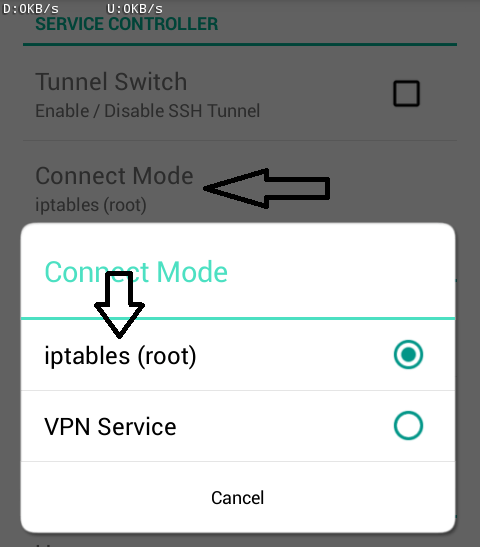 It is also more stable than any of the VPN and most importantly very free to use on MTN and Etisalat networks’ freebies. 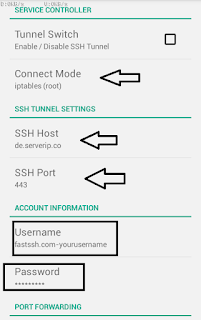 Note that to use HTTP Injector, you have to create an account at www.fastssh.com, the account has a validity of 3 to 7 days by which you can renew for free or easily create another one. Each account created can only be used on max of 2 devices ONLY. 3. Choose a username and password then answer a simple math question and repeat the same username in the space by the right. 2. 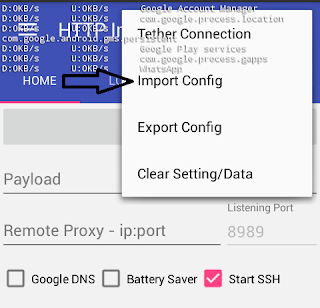 Open the installed HTTP Injector, locate the option icon (3 dots) by the top right and open the menu, then import the config files from the location you downloaded it to. 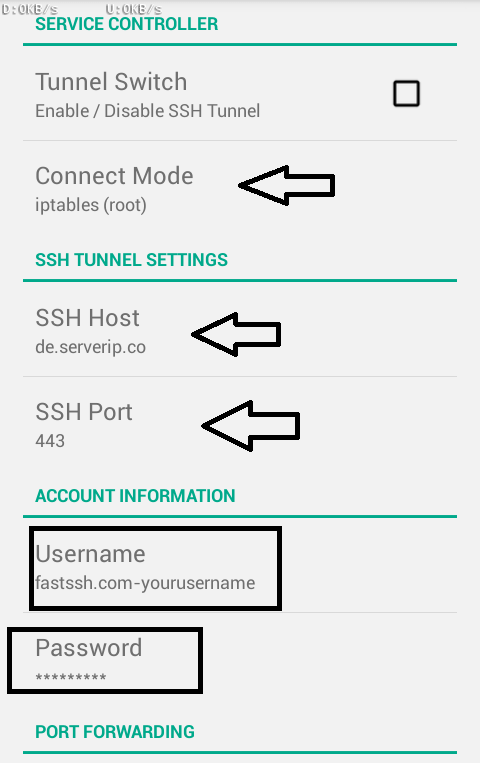 Go back and confirm that the “Start SSH” box is checked then click START and wait for few seconds to show connected. Start your seamless browsing and downloads. Thanks for the post. But how about the config file for MTN BIS. I only saw musicplus. But i still prefer the MTN bis. Como se crea un server de combinación?